TThis toolkit will assist you in making your guest’s day, every day. It will empower you with the tools you need to improve your level of service, and make sure that your guests have the best possible experience in South Africa, and your establishment. TThis will ensure they have a special, meaningful holiday. Hopefully they will want to return, and recommend you (and South Africa) to their friends. There are many more resources and ideas to empower you as a professional, and to ensure that you can make any guest’s day, every day. The USA, also referred to as the US or the United States, is located in North America, and shares its northern border with Canada and its southern border with Mexico. It has Atlantic, Pacific, Gulf and Arctic coastlines. Visiting natural attractions and experiencing wildlife in South Africa are the most common activities for American travellers, who rate our country’s scenic beauty and wildlife/game park experiences as the most common reasons for satisfaction after visiting. The Western Cape is a favoured destination for all American visitors. Repeat visitors, however, tend to take longer stays in Gauteng compared to first-timers. The United Kingdom is north of the European continent and includes England, Northern Ireland, Scotland and Wales. The UK also governs 14 overseas territories, including the Falkland Islands and Gibraltar. 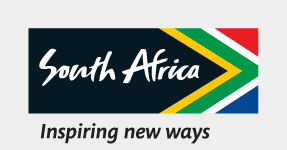 A majority of British visitors travel to South Africa for holidays, with VFR being the next most common purpose of visit. Business traveller was the fastest-growing category during 2003-2008. Scenic beauty and wildlife/game park experiences are the most common reasons for satisfaction among the British travellers to South Africa. Sweden is in Northern Europe and lies west of the Baltic Sea and Gulf of Bothnia. It borders Norway, Denmark and Finland. A majority of Swedish travellers visit South Africa for holidays, with business travel being the next most common, and the fastest-growing, purpose of visit. One of the best activities you can offer is to arrange for them to explore South Africa’s scenic beauty and wildlife/game parks. South Africans want to be treated in the same way as international travellers are treated. Discounting domestic travellers can lead to some seriously bad impressions and will leave a bad taste in their mouths. Most domestic travellers enjoy shopping, social engagements, the beach, natural attractions and nightlife while on holiday. There are different codes of social behaviour for each of South Africa’s many cultures, but in general you should make an effort to be polite. Nigeria is located in Western Africa, bordering the Gulf of Guinea, between Benin and Cameroon. Nigeria has the largest economy in Africa. It is an emerging market with growing financial, communications, technology, service and entertainment sectors. There are more than 250 ethnic groups: Hausa and Fulani 29%; Yoruba 21%; Ibo 18%; Ijaw 10% and other minorities. Muslims make up half the population, Christians 40% and indigenous religions 10%. Nigeria people are proud and strong, and take great effort to greet a person properly. Always make sure you take the time to enquire after the other person’s health, studies, work, family and so on. The Netherlands, or Kingdom of the Netherlands, is located in Western Europe, between Belgium and Germany, bordering the North Sea. The Dutch love bicycles, so cycle tours would definitely hold great appeal, as would tracks that include wildlife viewing (but bear age and fitness in mind). They also pride themselves on their 'gezelligheid', or sociability. This is best described as the quaint pleasure of meeting and socialising in any context. Going to family pubs (or similar outings) would fall into this category, as would a cultural family event that includes them. Mozambique is located on the south-east coast of Africa. It is bordered by Swaziland to the south, South Africa to the south and south-west, Zimbabwe to the west, Zambia and Malawi to the north-west, Tanzania to the north and the Indian Ocean to the east. Mozambique has a large population, stable political environment, growing economy and growing technology penetration, and large growth in travel to South Africa is forecast. Kenya is located in the Great Lakes region of East Africa, between Tanzania and Somalia. Its capital is Nairobi. The most common greeting is the handshake. If you know someone well, the handshake lingers for longer than it would for a casual acquaintance. When greeting an elder, respect is shown by grasping your right wrist with your left hand while shaking hands. Kenyans are quiet, respectful people who revere their elders and have a strong cultural background. Japan is an island nation in East Asia in the Pacific Ocean. It is east of China, North Korea, South Korea and Russia. Although the majority of Japanese travellers to South Africa are holidaymakers or business travellers, business tourists emerged as the fastest-growing category from 2003 to 2008. Japanese tourists love game parks and other wildlife experiences. Italy consists of a mountainous peninsula in southern Europe extending into the Mediterranean Sea, and includes the islands of Sicily, Sardinia and about 70 other smaller islands. The Alps form Italy's border with France, Switzerland, Austria and Slovenia. Italy’s capital is Rome. A majority of Italian outbound tourists prefer to explore beaches, while only a few prefer to visit mountainous terrains. Wildlife/game-park experience and exploring scenic beauty are the most common reasons for satisfaction among Italian travellers to South Africa. India is located in southern Asia, on and around the piece of the continent known as the Indian peninsula. It Borders Pakistan, China, Nepal, Bhutan and Bangladesh. In 2010 alone, 72 234 Indian travellers arrived in SA. Their main reasons for visiting SA are to experience a different country; wildlife and safari and natural scenery. Meals are eaten with their hands generally, and 40% of travellers are vegetarian. Come and pay us a visit at the Welcome Lounge at #MeetingsAfrica18 for a refreshing smoothie and relaxing massage. Let us show you how we can make your day!